Nikkatsu reported today that Seijun Suzuki died on Monday, February 13 at the age of 93. The cause of death was chronic obstructive pulmonary disease. The funeral has since been held by his family. Born in 1923 as Seitarou Suzuki, Seijun Suzuki debuted as a director for the movie Minato no Kanpai, Shouri wo Wagate ni (Victory Is Mine) in 1956. While predominantly known as an actor and live-action filmmaker—especially for yakuza B-movies—Suzuki also directed the TV anime Lupin III: Part II and anime movie Lupin III: Babylon no Ougon Densetsu. Zigeunerweisen, which Suzuki directed in 1980, received an Honorable Mention at the 31st Berlin International Film Festival. 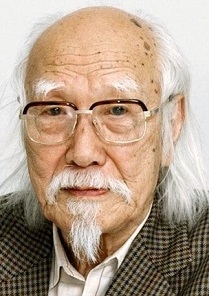 Seijun Suzuki's movies are known for having an avant-garde world view and unique color sense, referred to as "Suzuki Aesthetics." His individual style has attracted fans from around the world, and influenced both local and international acclaimed filmmakers. Damien Chazelle, director of the 2016 award-winning film La La Land, recently stated in a press conference in Japan that the film was influenced by Suzuki's Tokyo Nagaremono (Tokyo Drifter). He lived quite a long life, RIP man. R.I.P. very old man who survives WWII. A heavily influential figure in cinema, he made the masterpiece that is Branded to Kill! & he's responsible for a ton of Yakuza B-Movies. But yes, he was very old, it was only natural, still he really had a very long career, I m sure he was happy and died filling self-fulfilled, RIP. Thank you for the contributs you gave to the industry, I m sure whenever I see Lupin III Legend of Golden Babylon I will remenber and honor him properly. Rest in peace we will miss you. have been interested in his works for some time, RIP.